Help name this dream girl! Seriously, we can't figure out what her name should be. A front runner is "little a" but Kane isn't sure about it and is starting to become anti (which is not what the a stands for). 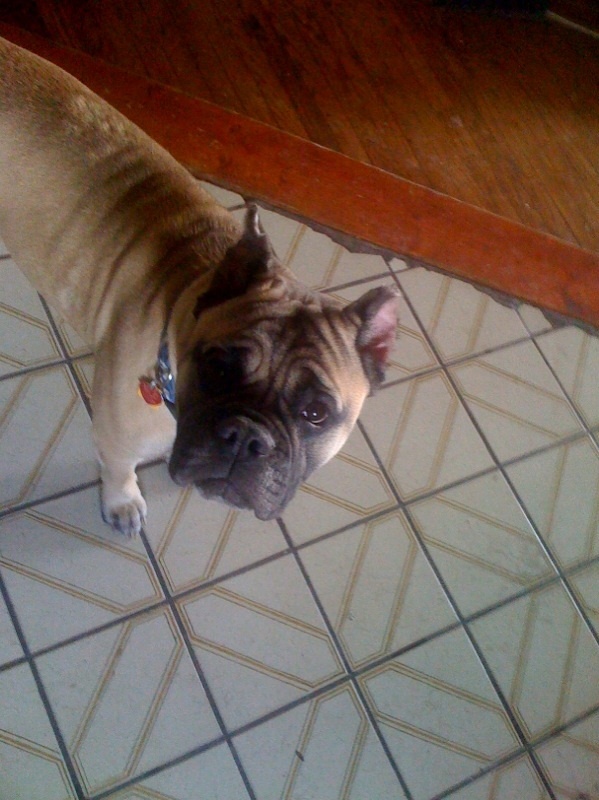 She is a bullmastiff rescue dog. Someone cruelly and crudely chopped her ears. Poor thing. UPDATE: Her name is, officially, "little a"